PUREMIX Vocal Production and Guitar Solos With Vance Powell TUTORiAL-SYNTHiC4TE | Free eBooks Download - EBOOKEE! Posted on 2018-11-28, by everest555. 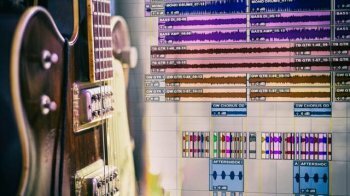 Between the tracking session and the mixing session is the often overlooked editing and production process that adds the finishing touches and details that can make a song stand out. Every producer and engineer needs to help guide artists towards a cohesive vision for their records. Grammy winner Vance Powell works with the band Tyler Bryant and The Shakedown to add layers of vocals, guitar overdubs and create the final song arrangement together at his studio Sputnik Sound in Nashville, TN. Learn how to give a song both polish and attitude with clever production touches that take the record from sounding good to feeling incredible! No comments for "PUREMIX Vocal Production and Guitar Solos With Vance Powell TUTORiAL-SYNTHiC4TE".